This template bundle is here to keep your audience engaged. Humans are visual creatures, and that's why strong visuals are important for helping the viewers of your website or readers of your blog stay engaged. If you don't have the time or know-how to create your own visual content, why not use ones that are ready made? 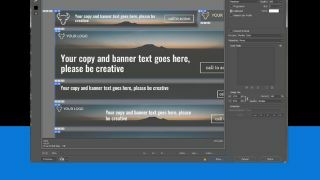 The DesignShock Banner Template Bundle offers over 3,000 banners, giving you the ability to bring your website up a notch, without having to figure out how to use Photoshop. Each banner can be tailored to fit your needs, as the images, buttons, and text can all be edited. If you do know how to use Photoshop, you can tinker with the banner to further edit and customise the visuals. Try out the DesignShock Banner Template Bundle for just $14.